Trying to figure out just how many drinks you can have so that you can drive home safely is quite tiresome. Well, fortunately, since you are looking for a Breathalyzer, you have figured out that there is an easier way to do things. Now, the tough part is figuring out just which device you should get. After all, what constitutes a good breathalyzer? We have decided to take this confusing decision out of your hands and to bestow you with our comprehensive list of top-notch devices. Not only will you be able to find the best breathalyzer here, you will also come across a ton of information on how to select one for yourself. 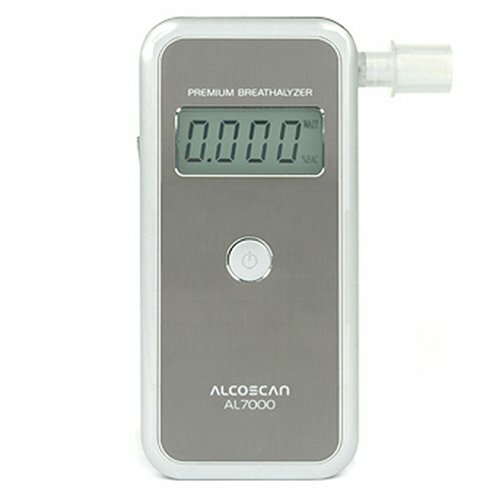 When looking for a Breathalyzer, the most important thing is getting one that rivals the models used by policeman or hospitals. 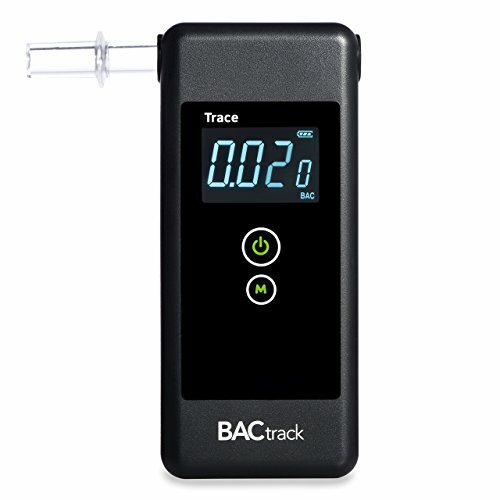 Fortunately, this is exactly what the BACtrack Trace Breathalyzer does! It is an approved alcohol screening device and is even listed as a medical device by the FDA. The device is capable of detecting even trace amounts of alcohol in your system and will be accurate up to the third decimal place. It is compact enough to fit in your pocket or bag, so carrying this device around with you will be no hassle at all. One of the advantages of such a device is that it is also incredibly easy and intuitive to use. Once it is powered up, it is just a matter of blowing into the device. There are additional features in the Mode setting that allow you to customize your settings better. Now, the breathalyzer doesn’t just save your current reading, it also saves the last ten readings that you have taken. This will give you a good idea of your alcohol intake. The downside of this feature, though, is that you aren’t provided with a time or date. So you can’t exactly tell when the readings were taken. Just one other complaint regarding this model is that it has been sent to be recalibrated every six months or so. This means additional expenses that you will have to invest in this device. With the fuel cell sensing feature of the AlcoMate Revo TS200 Breathalyzer, you can be quite sure that you are getting the right readings each and every time. One of the reasons to invest in this device is because it is highly regarded by a number of institutions. This includes the US Department of Transportation and the Navy. You can rest easy using this Breathalyzer because it has a high success rate. At any given moment, it has an accuracy rate of +/-0.005 at 0.10 g/dl. On top of this, the device also detects minute traces of alcohol in your breath to provide more consistent readings. It is able to sense between 0 and 0.4 percent blood alcohol content at any given time. While the device is easy to use, there is some downtime involved while trying to use it. You will have to wait for several seconds while the breathalyzer boots up before it can be used. This can be a bit frustrating, particularly in social situations. A feature that really sets the Revo TS200 apart from some of the others is the fact that you don’t have to send it in to be recalibrated. Instead, thanks to the PRISM technology, you can just replace the sensor module when necessary, saving you a lot of time and hassle. For all these excellent features, you will have to end up paying a bit more for this device. If you want a breathalyzer that is accurate as possible, then you should definitely go with the S80 professional device. This is a breathalyzer that has been tried and tested and has consistently provided researchers with accurate results. So, when you do use this device, you don’t really have to second guess the numbers that you are seeing on the screen. The S80 has been approved for use by the US Department of Transportation and is considered safe enough to be labeled as a medical device. Among all the features in this device, one of the benefits is the fact that it can register lower blood alcohol levels. 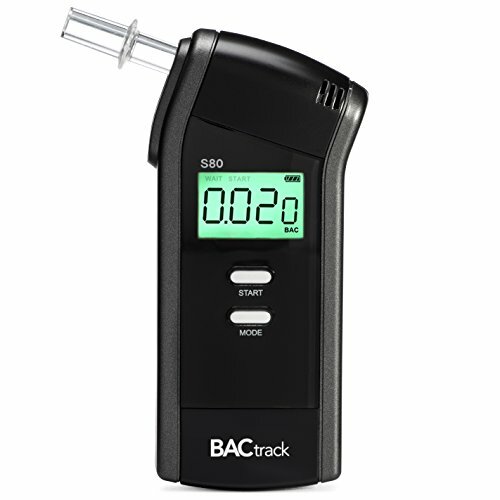 This breathalyzer can pick up anything that is between 0 and 0.4 percent BAC. So, even if you are only mildly intoxicated, you will know. At first glance, you can tell that there are a few more features with this breathalyzer, all thanks to the Mode button. The benefit is that you get to change the settings according to what you prefer. The other drawback with this breathalyzer is that it must be sent in for calibration at least once a year, with an additional cost to you. When most people think of getting accurate results from a breathalyzer, they are often focused on preventing the device from registering lower than what is accurate. However, you also have to be able to avoid the opposite scenario: registering a false positive. This becomes incredibly easy with the AlcoHAWK PT500. Thanks to the PT Core Sensor technology, the device will only take into account the accurate BAC levels. It has been approved by various authorities including the US Department of Transportation so you can be quite certain that it works. Also, it can register any reading between 0 and 0.4 percent blood alcohol content so it is accurate regardless of how many drinks you have had. It also lets out an audible warning if you fail the breathalyzer test, making sure you are aware of your results. The only unfortunate thing about this device is that it isn’t exactly user-friendly. There are three buttons that have images but no text. So, this does mean that there is a bit of a learning curve involved. What’s more, it is easy to get confused when you are trying to use it in a rush. The device will also need to be calibrated at least once a year and this service will cost you around $20 to $30. You will have to make do without your breathalyzer for a while too. Now, the only issue with the AlcoMate AL7000 is that it uses oxide semiconductor technology rather than a fuel cell system. For the most part, this type of technology does work and offers reliable readings. However, if you were to take numerous readings, you would see that there is some discrepancy between them. This can mean that you end up with an accuracy rate of about +/- 0.01 at 0.100% BAC. So, if you want on the nose readings each and every time, this may not be the best device for you. There is no denying, though, that this is rather an easy Breathalyzer to manage since all you need to do is to power it up and blow into it. The good news, nonetheless, is that this is not a device that needs to be calibrated. This is because all you need to do is to replace the sensor and it will be working as well as when you first got it. This will save you an incredible amount of time and trouble. One of the other minor complaints about this device is that the numbers appear on the screen only for a short time before it goes dark. While this does help to save the battery, it isn’t great if you aren’t quick on the uptake. Ok, now that you know what your best options for breathalyzers are, it is time to go through the process of choosing one. For the purpose of this guide, we will just be focusing on the technology that is used in portable and personal breathalyzers. So, with this in mind, it is safe to say that there are two main types of devices. They can be differentiated by the type of technology that they use. These are the oxide semiconductor sensors and the fuel cell sensors. These sensors make use of small, metal oxide beads. This relies on a voltage that changes when it comes into contact with alcohol. When this happens, the change in the current is registered and the breathalyzer determines the alcohol content in your breath. Now, one of the main benefits of this type of sensor is that it is affordable. Thus, you will find cheaper models with this technology. Unfortunately, it isn’t all that difficult for this sensor to be deceived. This is because it also has a tendency to register ketones as alcohol. This can make it a bit difficult to rely on the readings that you get with this type of sensor. Fuel cell sensors, on the other hand, have the benefit of being as good as most devices utilized by the police and other authorities. This technology relies on the oxidation of the alcohol in your blood. When this occurs, there is a voltage that is generated. Thus, the greater the amount of alcohol, the greater the voltage that is generated. As you can imagine, this kind of technology isn’t the cheapest so you will have to have to part with $80 or more for this kind of model. On the upside, it is worth every penny. The most important thing for anything breathalyzer is the level of accuracy that it is able to maintain. After all, without this feature, your device is essentially useless. It should be noted that not even the police boast portable breathalyzers that are a 100 percent accurate. The only real way to get a proper understanding of your blood alcohol level is with a blood test. This means that your personal device does have some wiggle room. Ideally, your breathalyzer should fall within 0.01 g/210 L if it wants to be accurate. In a perfect scenario, your device would register precise results. However, if it should provide you with slightly higher results, this is forgivable. Under no circumstances, though, should the breathalyzer ever register lower results than your actual blood alcohol level. The thing about personal breathalyzers is that they need to be calibrated every once in a while. This is because, after a while, these devices have a tendency to become saturated. When this happens, there is a greater likelihood of the readings being incorrect. To avoid this, most breathalyzers require you to send the devices in so that they can be calibrated by the manufacturer. This option has a few disadvantages. The first is that every time you want to do this, you are going to have to spend between $20 and $30. On top of this, you will have to make do without your device until it is returned you. There are some devices that don’t require calibrations. In these instances, the sensors on the device have to be replaced. While this may cost you some money, it has the advantage of allowing you to keep your device with you at all times. If you are being honest, you will only be using a breathalyzer when you have had at least two drinks. So, your dexterity may not be at its peak. Due to this, it is always important to determine just how easy a device is to use when you aren’t functioning at full capacity. The fewer buttons involved, the easier it will be for you. That doesn’t mean that there aren’t some advantages to having a myriad of settings to choose from. When there are a greater number of settings, you can customize the device to better suit your preferred units or mode of function. In this way, you may actually find it easier to use. Price: with breathalyzers, you will often find that splurging can actually come in handy. Typically, the pricier options often offer a greater level of accuracy and are of better quality as well. Size: you probably want to take your Breathalyzer with you to bars and parties. So, the last thing you want is something that is large and clunky. Look for devices that can fit in the palm of your hand and that can discreetly be placed in your pocket or your bag. Large Display: these readings aren’t something that you want to get wrong. This is why you should opt for a larger screen so that you can easily see the numbers, regardless of the time of day. Audible warnings: if numbers just won’t do, you may want to look for a model that provides you with an audible warning. Here, the device will produce a noise when you are considered too intoxicated to drive. With all this information on hand, you will be able to decide on a breathalyzer that is perfectly suited to you. If you value accuracy above all else, then you are going to need to get yourself the BACtrack S80 due to its high precision rate. 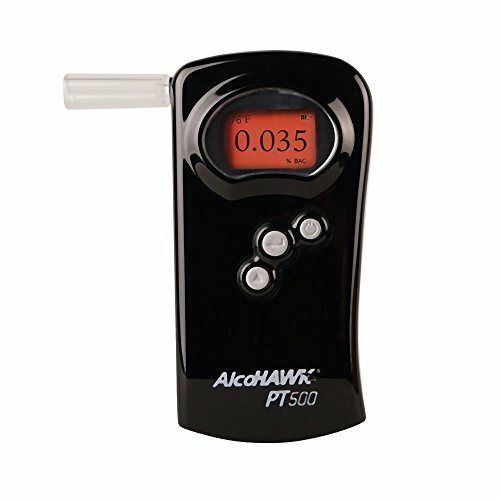 However, if you want a model that is affordable yet accurate, then the AlcoHAWK PT500 will prove to be a good choice. 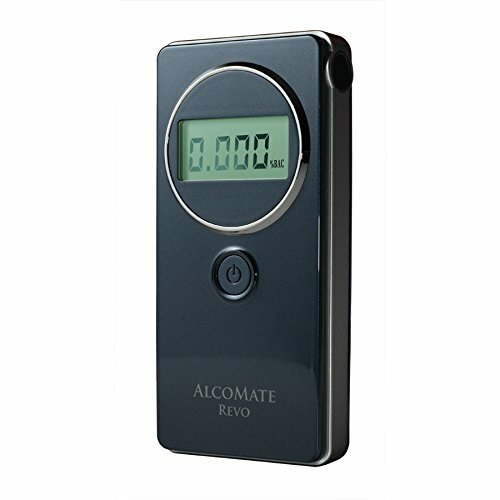 The AlcoMate Revo TS200 is suitable for anyone looking for a fuss-free option for their breathalyzer. If you want a device that is simple to use but still has a lot of features, then the BACtrack Trace Professional device is best. This brings our guide on breathalyzers to a close. You should now have all the information necessary to make an informed decision for yourself.